Michael’s son Mick, is often compared to his legendary father, who won seven world championships and is considered one of Formula 1’s best ever drivers. 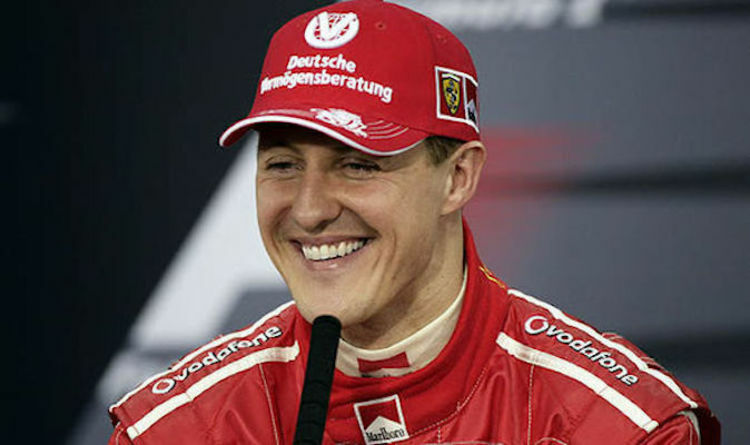 Schumacher suffered a traumatic brain injury following a skiing accident on 29 December 2013, with details of his condition and health remaining sparse, as the family keeping silent on his progress. But in the world of motorsport, all eyes are on young Mick, 19, after he won the Formula 3 European Championship in October this year. The young hopeful paid tribute to his father, who has often been compared to as his career follows the same illustrious trajectory as Michael’s did. Mick was crowned 2018 champion after the race in Macau- but all eyes were on him once more as he returned to the course on Saturday. It was the very same place his father gained international recognition 28 years ago. Schumacher won his Macau race in 1990, before moving on to his unparalleled Formula One career and winning seven World Championships - meaning the legendary driver’s son has big shoes to fill. However, channeling the same passion and sportsmanship as his father, Mick continued: "We really tried our best. "When it came to individual performance, we did not give our best during the qualifying and that made things very difficult, but it was great to be back in Macau, it's a special track and I love driving here." Earlier in November, Schumacher's wife Corrine opened up about the health of her husband in a rare letter, in the run up to the five-year anniversary of the accident. Hamburg musician and bandleader Sascha Herchenbach told German magazine Bunte he sent his song, Born to Fight – which was composed a few months after the tragedy in 2013 – on CD to Mrs Schumacher in order to offer the racing legend’s family hope. In a heartfelt reply to the musician, Mrs Schumacher wrote in a letter: "I would like to sincerely thank you for your message and nice gift that will help us through this difficult time. “It is good to receive so many kind wishes and other well-intentioned words - which is a great support for our family. We all know Michael is a fighter and will not give up."